Sometimes you just run across a book that reminds you of how love could be and maybe should be. Sometimes you just can’t put the book down and you just read. 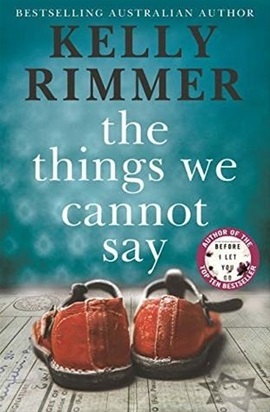 The Things We Cannot Say by Kelly Rimmer is one of those books. 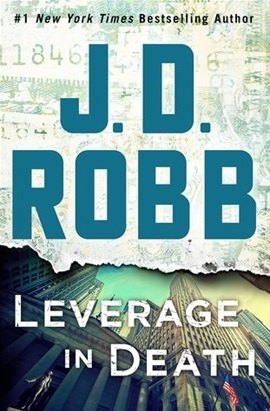 The novel has a double narrative stories throughout the book. One story is about Alina and the other about Alice. Both stories were about love, loyalty and doing the best you can for someone, but the time frames were different. Alina grew up on Poland on a small farm near the German border. She knew from a very young age that she loved Thomasz. While German Nazi’s were making life harder, Thomasz was in college in Warsaw, Alina’s life began to change. Deprivation and hard work tore through the area. The Nazis taking people and food and anything of value. There were the furnaces from over the hill that kept belching off acrid smoke. Alina continued to wait for Thomasz and her life with her love to start. Alice had a family with two special needs children and one special needs husband. Her husband and daughter were brilliant and seemed to need constant attention. Her son was diagnosed as a child on the Autism Spectrum and was unable to communicate verbally, but was through his communication device. Into all this we met her Babcia (grandmother) who had had a stroke and was struggling with communication but wanted Alice to help her find Thomasz. As the stories go back and forth between times and main characters, I found myself hoping for both characters. I wanted them to succeed in their quests. I wanted to hope. One remarkable element that struck me in both storylines was how much the main characters could not say, so I felt the title was perfect for the novel. The book was a magnificent read of perseverance and love, patience and passion, hope and hell. The Things We Cannot Say by Kelly Rimmer is a fabulous book, that I whole-heartily encourage others to read… tissues are an option to consider. One Night for Seduction by Erica Ripley is the first book in a new series called the Wicked Duke’s Club. The book a fun read populated with Erica’s interesting main characters. The story was short, as most of hers are, but fun romps with the Ton and their arbitrary rules and women who can think! The Wicked Dukes Club is a bar that people of all walks of life hang out at, including Dukes. As a matter fact, it is even owned by a duke. Duke of Colehaven takes a bet that he can find a suitor for his friend’s cousin, Diana Middleton. The problem is that Diana is not interested in getting married. She is not interested in having to follow someone else’s dictates. She knows what she wants and is going forward. The more the Duke of Colehaven tries to find out about Diana, the more he is fascinated by her. Diana is not a weak knee know nothing. She is a mathematical genius who can see patterns and ways to make things work better. She is interesting and he is very interested, but he feels he knows what is best for her - big mistake! One Night for Seduction by Erica Ripley is a fun read with hot romance. The words, Shelter in Place, mean to hide where you are. What a title to the newest Nora Robert’s book! The book starts out with a horrible situation that happened at a mall near Portland Maine. Three gunmen came in to the mall and theater and started shooting. What a beginning. From there the tension in the book eased and then ramped up and then eased and then really ramped up. The action never really turned off in the book and you found yourself cheering for the main characters! Simone Knox and Reed Quartermaine were both at the mall. They did not know each other and they did both were able to shelter in place, holding on until law enforcement arrived. Simone and Reed both continued on with their life trying to restart a life that included the horror and then they found each other. That is when the story took on a new level of action. Loved the book. Loved the setting. Loved the characters. Shelter in Place by Nora Roberts was a great read. The Rain Watchers by Tatiana de Rosnay takes place in Paris during an epic flooding time. The Malegarde family had agreed to meet in Paris to celebrate Paul’s (father, husband) 70th birthday. While everyone showed up, so did the rain and it kept raining. The story follows the family story while seemingly paralleling the story of Paris flooding. Slowly but surely various things happen which cripples the family just as the water rising cripples Paris. The father - Paul have a massive stroke and the mother becoming quite ill with pneumonia. The part that makes the story most unique is the backstory of Linden and his coming out and growth toward becoming the person he is. To Linden, his father is a figure of strength and preoccupation. Paul is the foremost tree expert and often is called in on assignments that take him away physically from his family, but we are left with the feeling that he has often been missing even when he is there from his family. As the flood grows so do the backstories and unknown information slowly seep out. The ending did not satisfy me and make the story come together as I had hoped, but perhaps I am missing something. 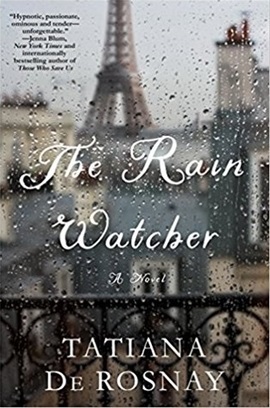 The Rain Watchers by Tatiana de Rosnay was a different read for me. I think people who like thoughtful books with family drama will enjoy the story. Breaking Without You by Carrie Ann Ryan is the first book in her new series, Fractured Connections. The series is going to focus on second chances and dealing with loss. With a new series, there are some connections with the Montgomeries that will be enjoyed. Breaking Without You centers around friends and dealing with the unexpected loss of another friend. Cameron Connolly and Violet Knight were in love and dated each other exclusively. Suddenly Cameron left without a word and Violet was devastated. But now he is back, with an unknown younger brother in tow and helping his brothers run Connolly’s Bar. Violet is just devastated, one of her best friends committed suicide and Violet is overwhelmed with thinking about what she may have missed or done differently so she would still be here. Meanwhile, Cameron has shown backup and all those feelings are back and the sparks are flying. How do you trust someone again, when they just left with no word? How do you allow yourself to begin again? Breaking Without You introduces us to a great new characters and is certainly bound to be a hit. The story line does keep you engaged and moves right along. Carrie Ann Ryan’s new book, Breaking Without You is a fun read. Ink by Numbers by Carrie Ann Ryan was a very short novella. It is part of the Montgomery Family: Colorado Springs books about two friends of the Montgomery Family. The shortness of the story was my biggest complaint. Kaylee’s new venture was Brushes with Lushes. As an artist, she spends much of her time alone, but one night she teaches her friends how to paint along with wine. The nights are fun and full of laughter. Kaylee is happy with this part of her life, but she realizes she is alone. Landon is a numbers guy. He uses spreadsheets and other business tools to help keep the his clients financially secure. Together Kaylee and Landon find each other a support, but both have concerns about moving forward into a relationship. Ink by Numbers by Carrie Ann Ryan was a short but good read. 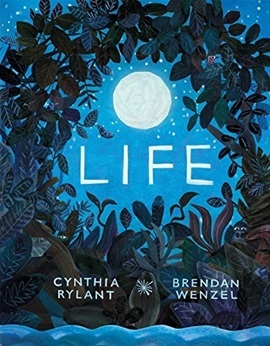 Life by Cynthia Rylant is a new read aloud book that came out last month. The story line about how life starts small and grows is truly inspired. The plot line goes on to speak about how some bad things happen and yet there is more to life. The story’s significance to life and the cycles of life is what makes it so special. The illustrations by Brendan Wenzel are equally inspired, using a style that is similar to Eric Carl’s. The pictures are simplistic yet there is much to see. Life is a read aloud that does not take much time, but woven throughout the story is a larger a more poignant storyline that older readers will enjoy. I think that Life is one of the best books I have ever read, not only in the children’s genre but in all genres. To me, this is a must own and read book. I think this will be a classic!